Government plans to seek hundreds of millions of euro in EU aid in the event of a no-deal Brexit have sparked outrage in Britain. Brexit-supporting media outlets seized on the revelations by Agriculture Minister Michael Creed that Brussels had been put on notice Ireland would be seeking assistance to cope with the fallout of the UK crashing out of the EU. It came after Mr Creed told the Irish Independent the sums involved to help trade and the beef, dairy and fishing industries would be “mega-money”. A headline on the website of Brexit-backing news outlet the ‘Daily Express’ read, “Brexit Disaster: Ireland to beg for millions of euro to save farmers and fisherman”, while the online versions of the ‘Daily Mail’ and ‘Daily Telegraph’ reported how Ireland would “demand” the aid from Brussels. 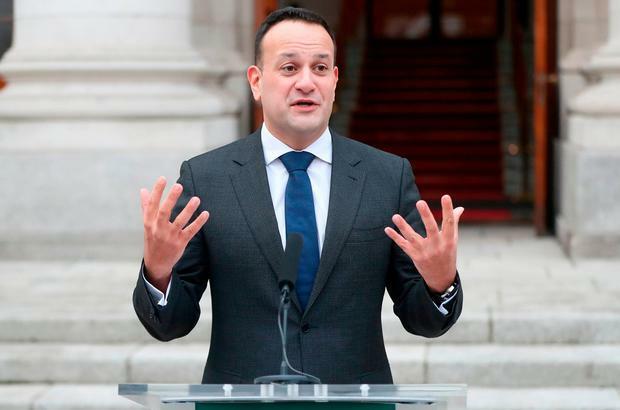 Taoiseach Leo Varadkar said that aid needed in the case of a no-deal Brexit was under discussion. He said that what the Government would seek if necessary in such a scenario would “largely” be State aid clearance. He explained this as “us being allowed to use our own money to support companies and businesses and potentially farmers as well who are adversely affected by Brexit”. But he also indicated that any additional aid package sanctioned by the EU would need to be shared among countries hit by Brexit. Meanwhile, Theresa May’s hopes of persuading Tory MPs to back her Brexit deal were dealt a blow as a poll of party members showed more than half would prefer to leave the EU with no deal. Mrs May appeared to be confident opposition to her deal would soften after the Christmas break, but new research shows the Tory grassroots would overwhelmingly prefer a no-deal Brexit than stick with the agreement negotiated by the prime minister. MPs return to parliament on Monday and are due to vote on the deal the following week, when they will come under pressure from their core supporters to vote it down. A YouGov poll of Tory members found that if offered a three-way referendum between no deal, Mrs May’s deal and remaining in the EU, 57pc of Tory members would opt for no deal, with 23pc choosing Mrs May’s deal and 15pc choosing remain. The remaining 5pc did not have a preference.